Happy Veteran's Day to all who do or have served. Posting late today because I was out of town all day. 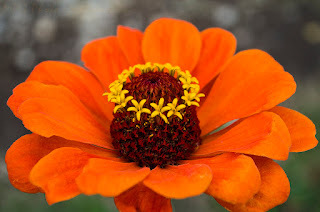 My image today is a macro of one of my Zinnias that I took this past week. It's amazing that they are still going strong this late in the year. I loved the bokeh behind this one.